Kevin Spacey has posted an apology to Anthony Rapp for making what the Star Trek: Discovery actor described as a “sexual advance” in 1986, back when Rapp was 14 and the House Of Cards star was 26. 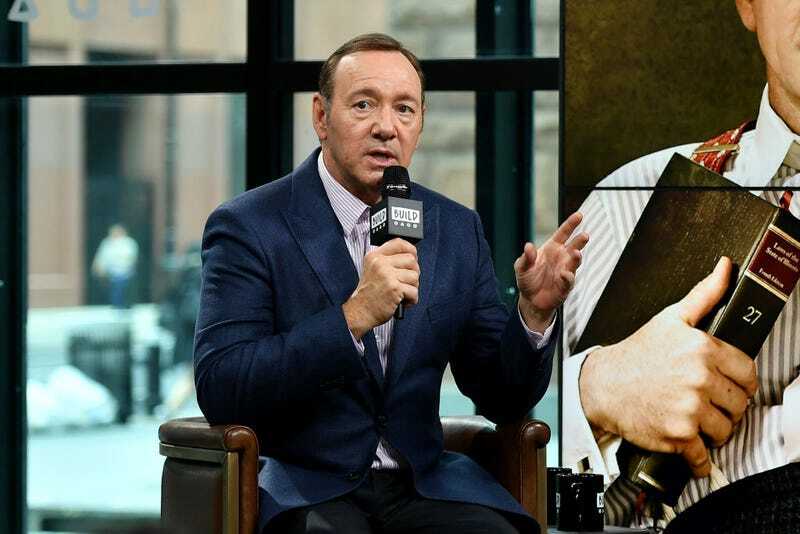 Although he claims not to remember scooping up the barely-in-his-teens Rapp and lying him on his bed after all the other guests at a party he’d hosted had gone home, Spacey now offers his “sincerest apology for what would have been deeply inappropriate drunken behavior.” He also takes this questionable opportunity to come out as a gay man. Spacey has dealt with rumors about his sexual orientation for much of his career, but his decision to finally address them only after being accused of sexually assaulting a minor isn’t going over well with other members of Hollywood’s LGBTQ community. The actor’s motives and word choice are under serious scrutiny. As The Daily Beast’s Ira Madison writes, “there’s never truly a wrong time to come out and I’d never begrudge anyone for accepting their sexuality. But the seediness of using your coming out to deflect from a sexual assault allegation is something else entirely.” Madison also expresses dismay at headlines that have prioritized Spacey’s coming-out over the allegations against him.